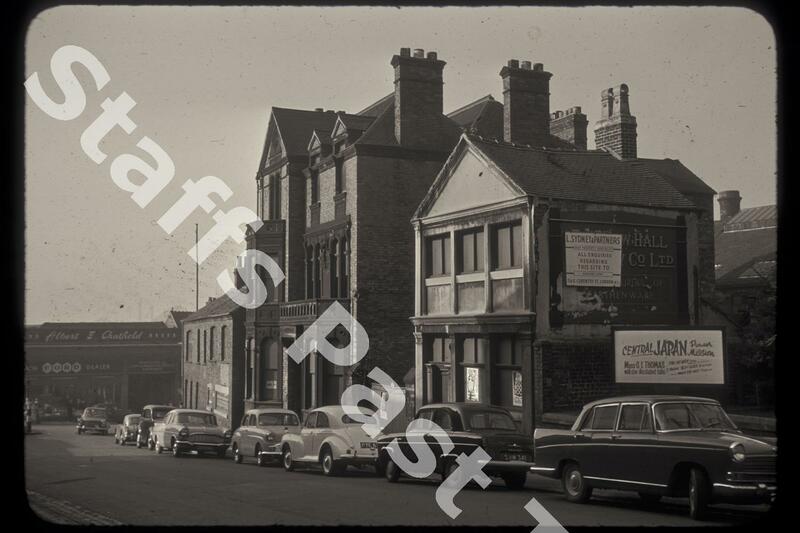 Description:The photograph shows a view west along New Hall Street towards the junction with Marsh Street and York Street. The bulk of the pottery site lies behind these two buildings on New Hall Street (the top of a bottle oven is just visible). 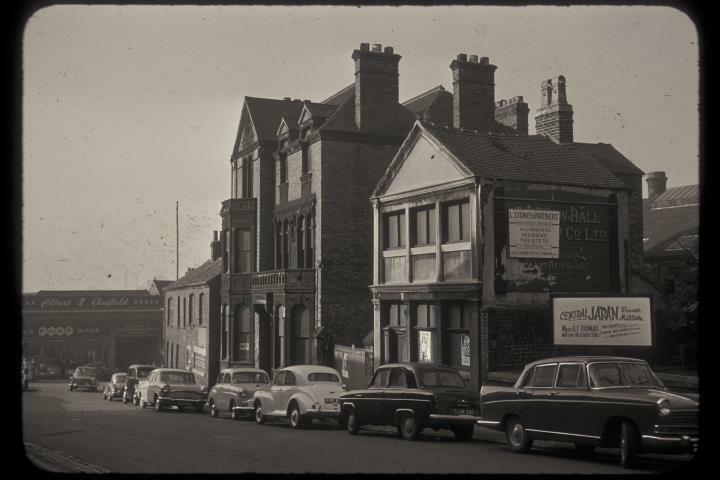 Both buildings have been demolished, becoming the site of a supermarket in the 1970s. The New Hall Pottery Company was founded right at the end of the nineteenth century, taking over the New Hall Works of Plant and Gilmore. Initially the company made toilet sets and jugs but by the 1920s had diversified into dinner and hotel wares. New Hall Pottery Co. ceased trading in 1956.